When riding a motorcycle, there are various safety precautions that you need to take. At the very top of this list is wearing safety glasses or goggles to protect your eyes. Since not all motorcycle helmets are equipped with visors, this is an important piece of gear. 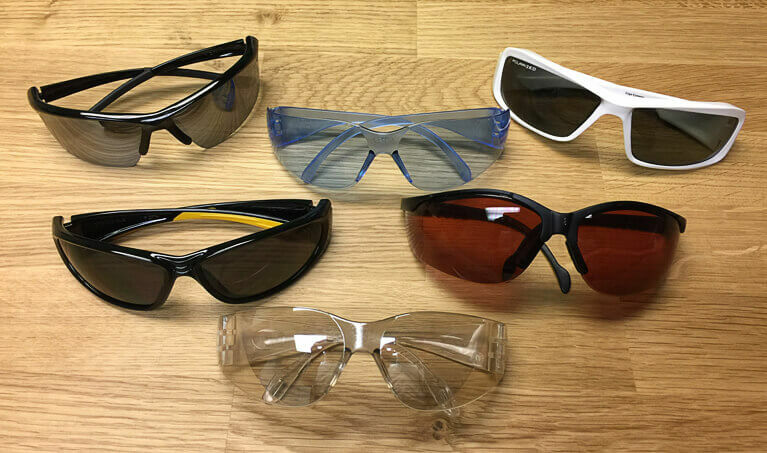 Of course, considering just how many of these items are actually available, it can be tough to choose the best safety glasses or safety goggles for you. Visibility: as you can imagine, one of the most important aspects of the safety glasses is that you can see clearly through them. So, the top-notch safety glasses will offer you clarity, have minimal fogging, and will be suitable for a variety of lighting conditions. UV Protection: it is imperative that you protect your eyes from the glare and UV rays. This is why we examined all of the safety glasses and goggles to determine if they provided you with extensive UV protection. Impact Resistant: while riding, there is constant debris and dirt flying towards your face. So, you will need lenses that are able to withstand this type of force and prevent damage and cracks on the surface of the lenses. Coverage: to be able to properly protect your eyes, the glasses or goggles need to cover a significant portion of the upper part of your face. This also includes just how well the eyewear is able to fit over prescription glasses as well. With this in mind, we concluded the glasses that provided better coverage had an advantage. Coverage: the fit refers to just how well a pair of glasses or goggles is able to sit on your face, regardless of the shape or size. The less movement we experienced with the goggles or the glasses, the better. Why we like it: The Pacific Coast Safety Riding Goggles provide great protection and are suitable to be worn over most types of prescription glasses. These safety goggles offer an excellent fit for most people, regardless of their face shape and size. This is largely because of the vented foam that surrounds the eye socket case. The presence of this feature ensures that the goggles are gently placed against your face, creating a seal. 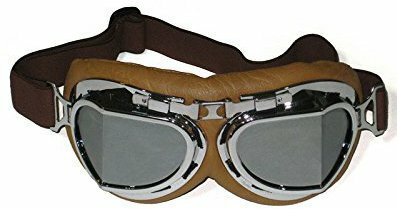 That, along with the general design of the lenses and the goggles mean that these are a pair that will remain securely around your head. The adjustable strap that goes around your head ensures that you can get the perfect, snug fit. These lenses offer an excellent line of vision while you are riding. They have been designed to ensure that you are able to see 180 degrees around you, without any obstruction at all. Thus, there will be no distractions for you on the road. Now, these glasses are a slight smoky gray. This makes them dark enough to block out most of the light during the day. At the same time, they are light enough so that even in low lighting conditions, they will not bother you much. 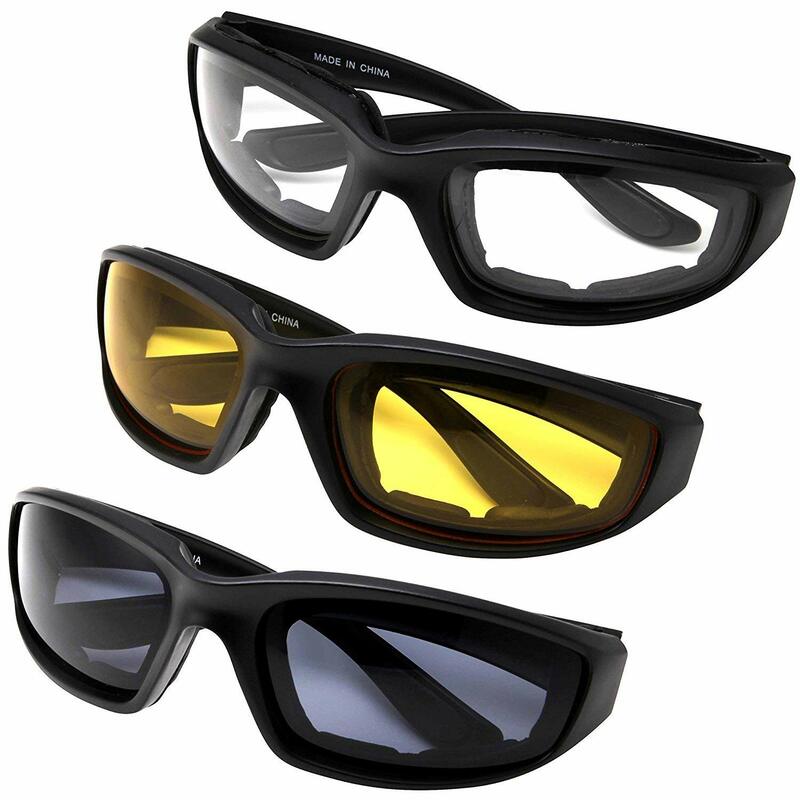 These lenses offer you ultimate protection as they are made from polycarbonate material. As a result, they are highly impact-resistant, making them perfect for warding off dust, dirt, and debris while riding. What’s more, these lenses also help to block UV light, making them great safety glasses for the daytime. The minor issue is that due to the vented foam design, those do let some dust in, under some conditions. These safety glasses have been constructed so that they can easily fit over prescription glasses. So, there is plenty of space between your eyes and the lenses, ensuring a much more comfortable fit. It also makes these glasses suitable for most riders. Why we like it: The WYND Blocker Wraparound Glasses offer excellent coverage and protection while you are on the road. 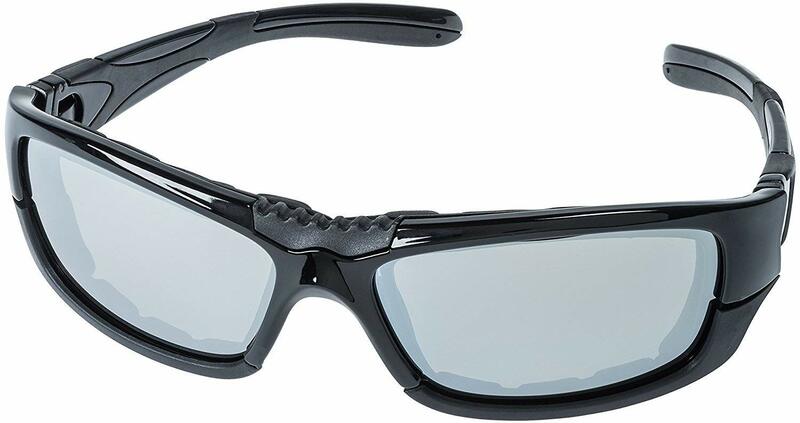 The wraparound nature of these safety glasses means that they cling to the front and sides of your head fairly well. Due to this, you afforded a rather good fit in most instances. This is aided by the removable eyeliner that comes with the glasses. That being said, this isn’t a good match for everyone and depending on your face shape and features, there may be a small gap. The gap doesn’t affect the secureness in any way, though, and so you can expect them to remain firmly on your face. This is especially because the glasses are equipped with rubberized earpieces that allow the glasses to get a good grip on your head. Furthermore, these can also be converted into goggles with the help of a strap. The lenses on these glasses are high-quality which means that you are rewarded with a clear, unobstructed view both ahead and beside you. 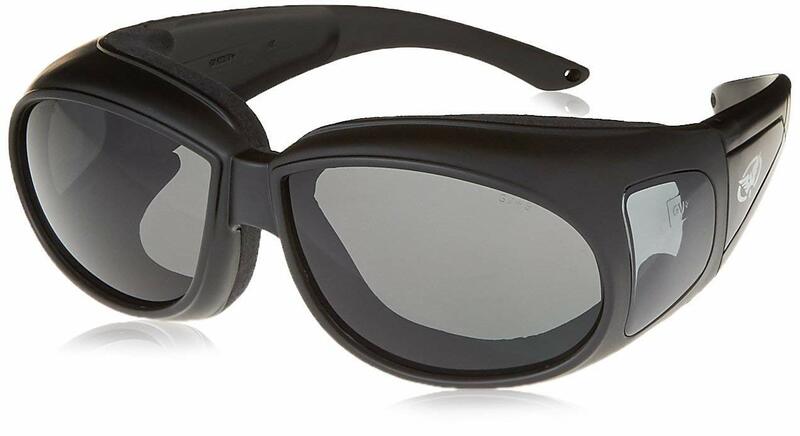 To top this off, the lenses are polarized and so, eliminate glare pretty efficiently, especially on those really hot days. The moderate tint is also good for most lighting conditions. These lenses boast Triacetate Cellulose which provides you with UV400 protection, keeping you safe from both UVA and UVB rays. You are kept safe from even the hottest glare, all day long. The wind resistant liner means that, for the most part, these glasses work well to keep the wind out of your eyes as well. However, as mentioned, this only for people that have a good fit with the glasses. 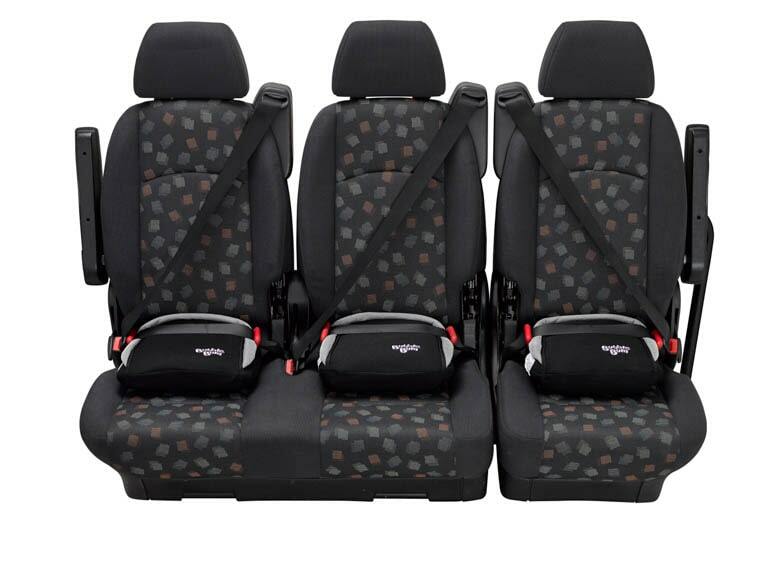 This material is also rather high-performance and durable, making it both impact resistant and scratchproof as well. As a result, you can be certain the glasses can withstand dirt and debris. Since these are sunglasses, they aren’t meant to be worn over prescription glasses. Nonetheless, you will find that they afford you more than enough coverage, keeping the entire eye area completely protected. Why we like it: The Bobster Road Hog II Glasses are a versatile and safeguarding pair that are suitable for a number of riders in different riding conditions. The curved shape and design of these safety glasses mean that they sit well against your face at all times. This is further improved by the fact that the glasses come with a removable closed cell foam layer. The feature allows you to create a much tighter yet comfortable fit around the eyes. The glasses have also been constructed to stay on, even as you are riding. The arms are gently curved and so, wrap around your head. 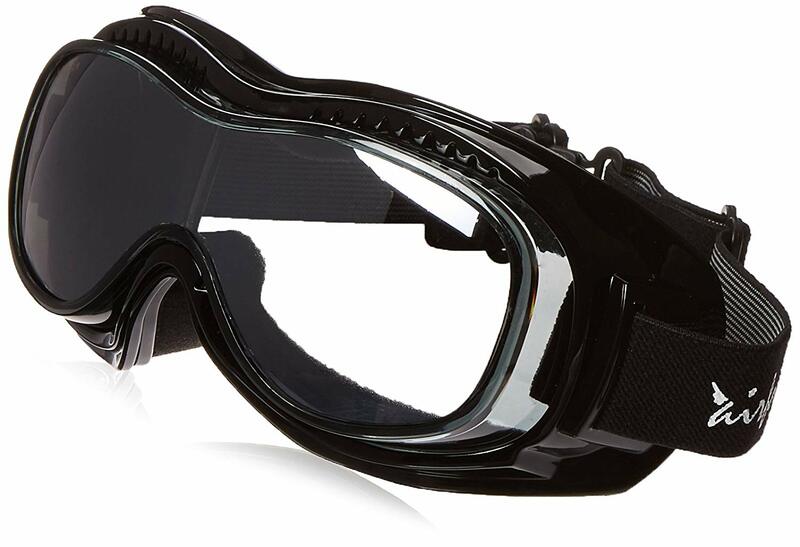 What’s just as great is that these can also be easily converted into goggles with the help of the strap that is provided by the manufacturing company. As far as visibility goes, you will be hard-pressed to find lenses that can offer you a better view. This is because these glasses are packaged along with four types of lenses. This allows you to choose one according to the type of lighting that you will be riding in. So, regardless of the time of day, you will be able to see clearly. In fact, these glasses are actually prescription ready which means that you don’t have to deal with the discomfort of wearing glasses underneath these ones. The lenses are built to offer you complete protection from the sun and so, you can be certain that the UV rays will not harm your eyes at all. 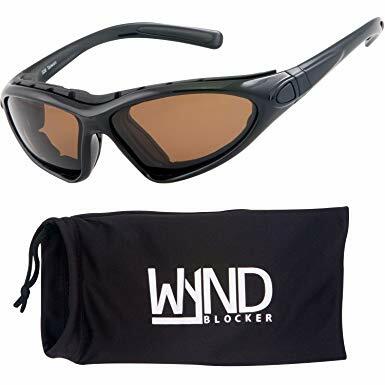 Furthermore, thanks to the removable foam layer, these glasses will also protect you from the wind, even when you are traveling at high speeds. Last but not least, the lenses are composed of polycarbonate which means that they are incredibly impact-resistant as well. Now, these lenses are a bit on the small side. So, if you do have a slightly larger face or head, you may find that they don’t provide you with nearly enough coverage. However, those with smaller heads may not experience this issue. Why we like it: The Birdz Oriole Glasses are a durable yet comfortable pair of safety glasses, designed to protect your eyes. While these safety glasses may simply look like regular sunglasses, looks can be deceiving. This is because the secret weapon of this product is the fact that the interior portion of the glasses is lined with comfortable foam. Not only does this make it a delight to wear the glasses, but it also ensures that it fits snugly to your face. That being said, it should be noted that these glasses don’t fit everyone perfectly. With certain people, there may be a small gap between where the frame and your face. This doesn’t prevent the glasses from being able to stay on your face, though. The small rubber grips at the ends of the arms, make it easier for the frame to hug your face. The lenses of these safety glasses are rather dark which makes them an excellent option for days with incredibly harsh glare. The tint will work to filter through this light, making it easier for you to see the road ahead. Yet another advantage with these glasses is the fact that they have an anti-fog coating. This means that your visibility will not be affected at all, regardless of the weather conditions. Due to the foam layer, these glasses help to keep the wind at bay for individuals with a proper fit. On the other hand, if the frames don’t fit you perfectly, there is a chance that some of the wind will be let in. You are, however, well-protected from UV rays as the lenses are rated UV400. Furthermore, the lenses are composed of polycarbonate making them highly impact resistant as well. These safety glasses are meant to largely function as sunglasses and so, aren’t suitable to be worn over prescription lenses. Nevertheless, you will still find that these glasses offer the necessary coverage and keep your eyes thoroughly safeguarded. Why we like it: The Get Lost Helmets Riding Glasses are excellent for high-glare riding situations where you need all kinds of protection. What’s interesting about these safety glasses is that they have a curved edge. As such, they are able to sit flush against the various angles on your face. There is also contoured foam padding that works to keep the glasses gently pressed against your skin, creating an effective seal while you are riding. These features make it a lot more suitable for various face shapes and sizes. These glasses will also remain securely against your face at all times, even when you are traveling at high speeds. The curved arms are gently yet tightly fitted to your head. You also have the option to convert these glasses to goggles by swapping out the arms for a wide rubber band. These glasses are meant to be worn in bright sunlight which is why they are tinted so heavily. Now, if you are riding around on a very bright day with lots of glare, then these glasses will certainly come in handy as they will block out the sun. However, in lower lighting conditions, you may find it a bit difficult to see in these safety glasses. As far as protection goes, you can be certain that your eyes will be well protected from the sun in these lenses. They offer total UV protection, all day long. To add to this, the glasses are also great at keeping the wind out of your eyes on a drive thanks to the fitting foam layer. In terms of durability, the lenses are made of polycarbonate material which is highly impact-resistant. The size of the frame and lenses as well as the curved edges ensure that these safety glasses offer you with as much coverage as you need. So, you can have peace of mind knowing that your eye region has all of the shielding it requires. Why we like it: The Besti Motorcycle Glasses give you the chance to use these protective glasses in all riding conditions. The frames on these motorcycle safety glasses are gently curved, ensuring that they are able to sit across the angles on your face. Thanks to this feature, these glasses are actually suitable for a wide variety of riders. This is aided by the foam layer that is pasted on the inside of the frames, providing an even better fit. There is also no denying that these glasses are quite secure on your face as well. The arms are gently angled downwards so that they are able to get a better grip on your head and thus, not move around while you are riding. You get three types of safety glasses in this pack. This means that you have lenses for days with a lot of glare, for low lighting conditions, and then for the nighttime. All you have to do is simply slip on the appropriate pair and then you are free to ride in whatever type of conditions that you want. The minor downside is that due to the seal caused by the foam padding, there is a chance that there may be occasional fogging disrupting your visibility. The lenses on these glasses are made from highly durable polycarbonate material. This strength ensures that the lenses are quite impact-resistant. As such, you will find that they hold up well to all kinds of dirt and debris, striking the surface of the lenses. In the case of protection, you get to enjoy the fact that your eyes are safeguarded against harmful UV rays thanks to the UV400 grade lenses. Furthermore, the foam seal ensures that your eyes are protected from the wind as well. These frames and lenses on these glasses are a good size. Therefore, they are able to provide adequate coverage for most individuals. These dimensions are able to ensure that the eye region is kept covered and protected during your ride. Why we like it: The AULLY PARK Riding Glasses are a versatile pair that not only protects your eyes but also ensures that you are well-equipped for most situations. 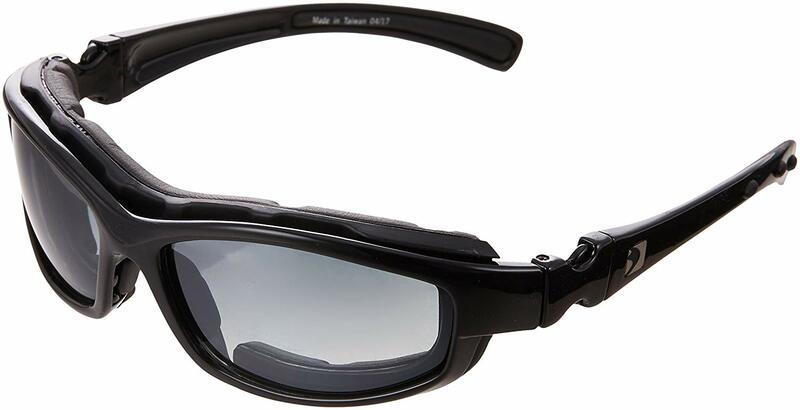 These riding safety glasses have been designed for most outdoor situations, including motorcycle riding. As such, they have been constructed so that they fit snugly against your face, including the curved planes. The structure of the frames is what makes it an adequate fit for most individuals. Another great design aspect of these glasses is the arms that are slightly curved downwards. These sit flush against your scalp, creating a more stable hold. Thanks to this, you can be quite sure that these glasses aren’t going to budge at all while you are on your bike. If you like being prepared for all situations, then these are the safety glasses for you. This is because they come with four different kinds of lenses and you can easily switch between them, depending on what you need. 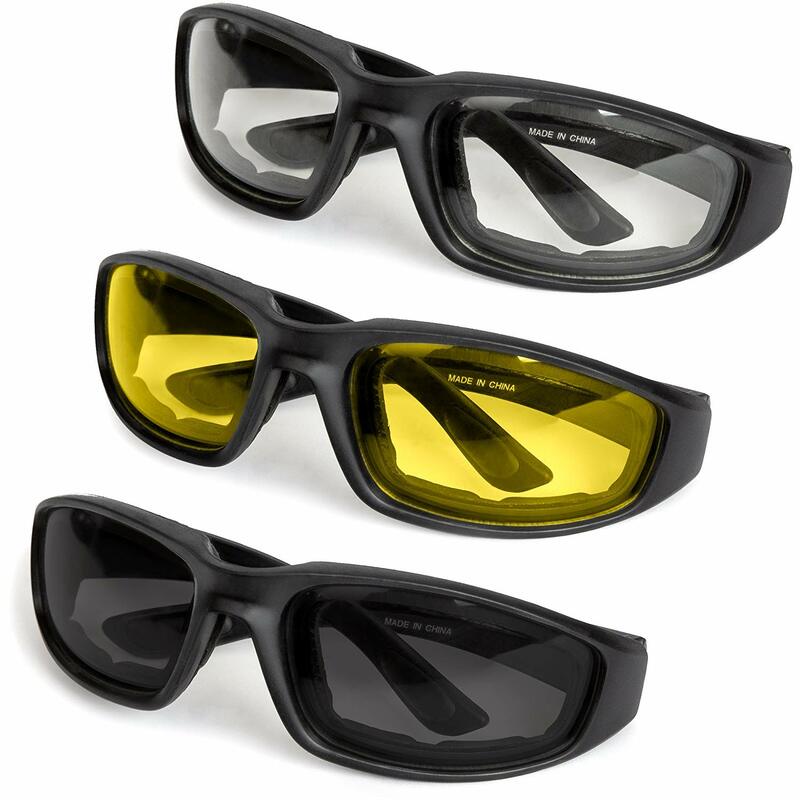 Three of the lenses are non-polarized and come in yellow, clear, and copper. 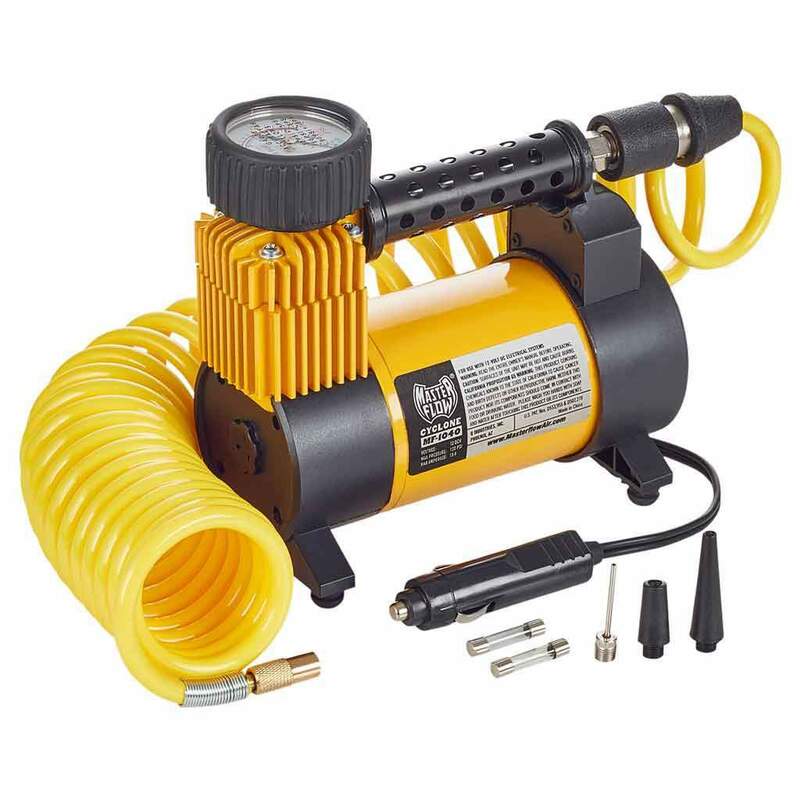 These work well in low-lit conditions or at nighttime. Then, there is the pair of polarized grey lenses which are able to protect your eyes from the glare on very sunny days. The main disadvantage with these glasses is that, due to the lack of ventilation, they can fog up when you are moving at very low speeds, cutting down on your overall visibility. All the lenses are treated with UV400 technology which ensures that they provide you with complete UV protection from the sun, during the whole day. At the same time, the tight seal ensures that your eyes are shielded from the wind, even traveling at high speeds. The lenses are made of polycarbonate material which makes them virtually shatterproof. They also resist scratches and other types of damage. The riding glasses offer you complete and total coverage. They cover the entire eye area, ensuring that this region is well-shielded at all times. Why we like it: The MLC Protective Glasses are adaptable eyewear that ensures you can protect your eyes in all conditions. The frames on these protective glasses are curved so that they carefully sit flush against your face at all points. In addition, the interior portion of the frames has foam which aids in this effort to keep the glasses as close to your features and eye region as possible. This, as well as the curved arms of the safety glasses, are what work to keep the glasses securely on your face at all times. This is an assortment pack where you get three different kinds of safety glasses. You get a clear lens, yellow tinted lens, and grey tinted lens. So, you can be certain that you are all set for any kind of lighting conditions. You just have to substitute one pair of glasses with another and you will be able to drive in bright, dim, or even dark lighting conditions. What’s really great, though, is that all of the lenses offer the same level of protection. This is because they are composed of polycarbonate material. Due to this, the lenses are practically shatterproof and are impervious to all kinds of damage. You can drive in all kinds of environments and weather conditions, confident that no dust or debris can hurt you. This is what makes these glasses such a good option for riding. Furthermore, these glasses also boast UV400 technology as well which means that you are eyes are protected from harmful UV rays. To top it all off, the design and the foam layer keep your eyes shielded from the wind as well. The only real downside associated with these protective glasses is the coverage that they offer. They are a bit on the small side which means that they may not provide certain individuals with enough of coverage. In this instance, your entire eye region may not be equally protected. Why we like it: The CRG Sports Goggles offer equal parts protection and comfort thanks to its design and components. The design of these safety goggles is rather distinct from many others. For one thing, it has rather thick, sponge padding that takes up most of the front part of the frame. Now, this does more than just add some serious comfort to your glasses. It also ensures that there is adaptable material to take the shape of your face. This is why these goggles are actually such a good fit for most. It is also the reason why these goggles are quite easy to secure on your face. Of course, the wide strap also plays a large role in this. The strap can be adjusted to suit the dimensions of your head, ensuring that they will not budge, no matter how fast you are going. The silver lens on these goggles means that you are afforded quite a bit of visibility. The mirror-like screen reflects harsh sunlight so that you are able to look past the glare. At the same time, these glasses aren’t overly dark so they actually work rather well in numerous lighting conditions. Unfortunately, due to their tight seal, fogging can become an issue in certain weather conditions. Although it may not seem like it these goggles are actually rather durable. Not only is the raw frame made up of ABS plastic, but the lenses are also built from a polycarbonate material. This makes the tough and scratchproof, allowing it to withstand all kinds of debris without any problem at all. At the same time, the lenses are also UV resistant which helps to keep your eyes shielded from UV rays. They also work quite well to keep the wind at bay. These goggles offer amazing coverage as they essentially cover the entire eye region completely. Therefore, you can be rather sure that no harm will come to your vision at all. Why we like it: The Global Vision Outfitter Glasses is durable and outfitted to protect you from the elements while you are on the road. The safety glasses have been constructed to suit a wide variety of faces. The curved angle means that it can sit flush against all the planes of your face. The soft, airy foam also makes it a little easier for the frame to sit comfortably against your face. These glasses have a slightly different design from some of the other options. The arms are rather curved which means that they should fit well against your head, keeping them in place. Unfortunately, this ends up causing the glasses to be rather loose on certain people’s heads. As such, it can be difficult to determine just snugly they will fit. The visibility on the safety glasses is actually quite good. This is because it has just the right tint for most instances. It is dark enough to make sure that on sunnier days, the glare will be kept out of your face. At the same time, it is light enough to ensure that you will be able to see rather well in dim conditions too. Add to this, it also has an anti-fog coating which will keep your visibility clear in all weather conditions. Where these safety glasses really stand out is in terms of protection. For one thing, the UV400 Filter means that your eyes are constantly being protected from the harshest of UV rays. Then, the foam layer and overall design ensure that most of the wind is kept out of your eyes too. What is truly impressive, though is that these glasses meet ANSI Z87.1-2003 standards which make them rather high-quality indeed. Also, since it is made from polycarbonate material, it is also protected from impact and scratches. These lenses can be a tad bit small for some individuals. This, combined, with the fact that they can be a bit ill-fitting for certain people mean that these glasses may not always have a large enough protective coverage area. While the frame is important for a number of reasons – including the fit – you need to pay attention to it since it can offer a number of protective features of its own. So, here are all of the elements that you need to consider. One of the first things you will need to determine is if the frame actually covers your eye area. While the design certainly plays a role, you will also need to think of your own facial features. For instance, if you have a longer or wider face than normal, then you are going to need to find a frame that suits you specifically. You will find that this is quite important if you are looking for the best safety glasses for dust. The next thing you will have to examine is the material the frames are made from. This is because you will need frames that are both lightweight and durable at the same time. Now, a majority of safety glasses and goggles are made from ABS plastic and this is a good thing. While this is a sturdy and rigid material, it also sits rather gently on your face. As with the coverage area, the overall fit of the glasses or goggles will depend on the dimensions of your face. So, it is a good idea to try out several designs and sizes so that you have a better understanding of what suits you. Overall, the glasses should sit as close to your face as possible so that you are well protected. With glasses, the arms should be curved just enough to cling to the sides of your heads. With goggles, the band should be wide and adjustable so that you can customize it for your face. For safety glasses to be truly considered as such, they need to be made from polycarbonate material. In case you are wondering why the answer is simple. This material has incredible strength and durability – much more than materials such as plastic. As such, polycarbonate lenses are highly impact-resistant. Even when they make contact with debris – or even the ground – they are unlikely to crack or be damaged in any way. It really depends on when you want to wear your safety glasses or goggles. 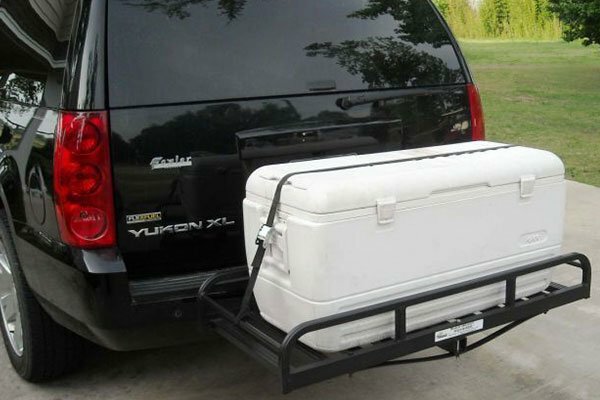 This will allow you to choose the exact tint that you need. 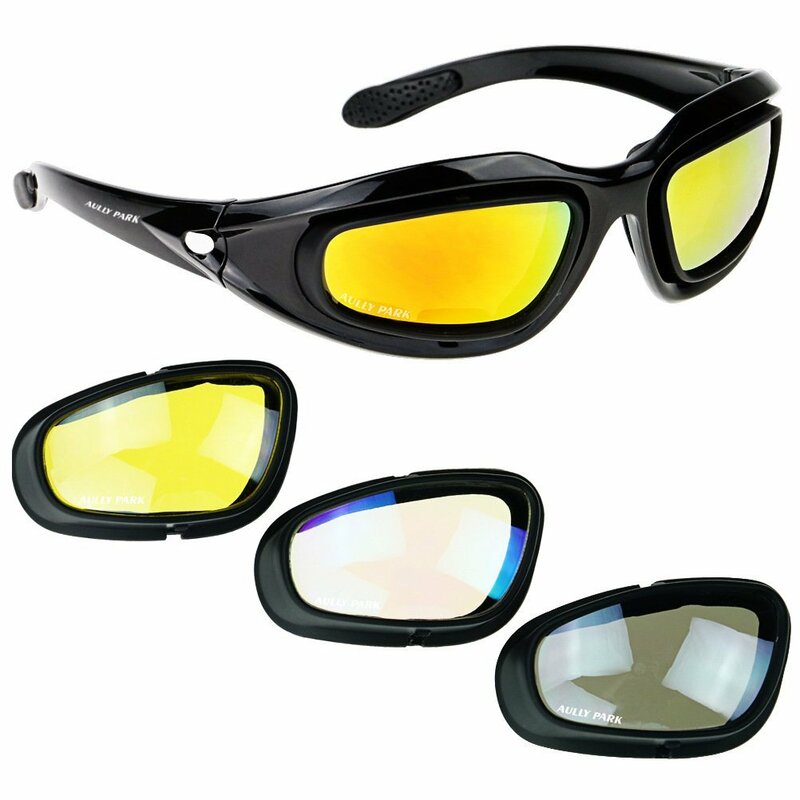 In case you are looking for something to wear in bright sunlight, either a dark tint or polarized lenses will do. While a dark tint softens the sunlight, polarized lenses will actually work to reduce the glare from reflected surfaces while you are riding. On the other hand, if you are riding in low light conditions, then a yellow tint will be better. For nighttime conditions, a clear lens will offer you the best visibility. UV Protection: it is unlikely that you will find a pair of safety glasses without this feature but it is still important to check. While your standard, tinted glasses may eliminate glare, they may not help against UV rays which can cause damage to your eyes. To ensure that you are properly protected, look for complete UV protection. Anti-Scratch Coating: not all safety glasses are automatically scratchproof, simply because they are made from polycarbonate material. So, if you want to make your safety glasses or goggles last for as long as possible, then search for those that have anti-scratch coatings or layers. Foam Layer: when riding, wind can become a real issue, particularly when traveling at high speeds. So, you will need to find glasses that have an internal foam layer. This will act as a type of seal which will prevent the wind from making your eyes water. Anti-Fog Coating: sometimes the wind protection feature can work a little too well, preventing any type of ventilation entering the lenses. When this happens, there is always a chance that the lenses will begin to fog up, reducing your visibility. To make certain that this doesn’t happen, you should consider an anti-fog coating. This is all the information you need to choose the best safety glasses or safety goggles for yourself. If you need help picking a pair, simply check out the reviews we have compiled for you.